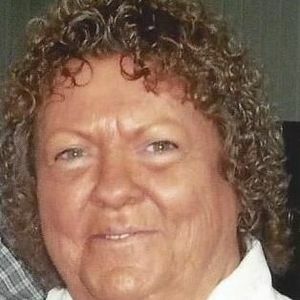 GREENVILLE - Barbara Jean Williams went to her eternal home September 20, 2014. She was born on September 11, 1944 to John "Bill" and Jessie Jordan Carter. She was preceded in death by her husband Pete Williams; brothers, Coy Carter, Kenneth Carter, John Carter; two sisters, Ruth Hope and Edith White. 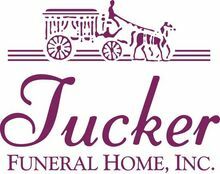 She is survived by five sons, Glenn Wiley of TN, Steven Williams of Drakesboro, Chris and Jessica Williams of Greenville, Josh and Joyce Linville of Bremen, William "Tojo" Wiley of Greenville; fourteen grandchildren, Samantha Wiley, Michaela Crick, Ethan Williams, Jasmine Williams, Jeremiah Williams, Dillian Williams, Breanna Williams, Abigail Williams, Christopher Williams, Jr., Emma Williams, Joshua Linville, Jarrett Linville, Jacob Linville; two great-grandchildren; two brothers, Larry Carter of Centertown and John Carter of Lima, Ohio; two sisters, Bonnie Clothier of Beaver Dam and Alva Alverson of Central City; several nieces and nephews. I love you and miss you so much mamaw I just wish I could go back to the nights I would lay in the bed with you and you would tell me stories to get me to sleep and I miss me and you cooking together and going yard selling all the time I still have the doll u got me when I was like 4 even tho you are gone I don't like facing the fact that you really are gone I miss you so much and can't wait to see u again everyone loves you!!!! Sorry for your loss ... We only know josh and he's an awesome man so your mom must have been awesome too!! !